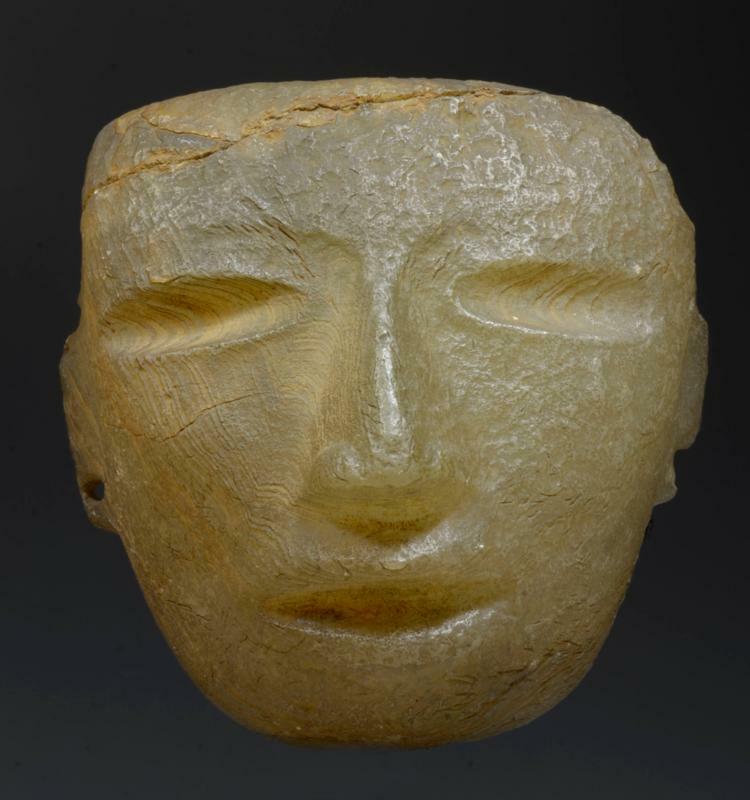 A carved cream-grain stone effigy mask of idealized beauty with protruding nose, drilled almond eyes and mouth. Attachment holes atop corners. Nice presence. Top repaired. Size 6 inches Height + custom mount. Intact, good ancient weathered surface. Ex Private NY Coll.